"Power is dangerous. These are the words of the Gods. But that power, that danger, is everything. It lives in an army that will protect my people and my rule. My son, my legacy, has become the bravest of warriors. I listen silently to the ramblings of men. Those who dream of danger may awake to death. But life must be lived to the fullest before it is over. I embrace the idea of life and death. For I am not the one in charge of my fate. The Gods have already written my story. Victory or Valhalla." The old Norse Word vikingr meant "pirate", but the Vikings were not only pirates. The Vikings were fierce warriors and skilled poets. Think of the Vikings and it's not poetry, woodcarving and storytelling that spring to mind, but colourful images of horned helmets, berserkers, longships, Valhalla, the one-eyed god Odin and men dying sword in hand or drinking out of skulls. And it’s true, the Vikings were pirates who came to plunder and kill, and they spread terror along Europe's coasts. But their reputation is not entirely fair: They were not just ruthless warriors, but also skilled traders, administrators and craftsmen in metal and wood, producing beautiful jewellery and art that survive to this day. The Vikings were also some of Europe's best storytellers and the Norse sagas continue to fascinate us. It was important to show courage in battle. How did such a small and scattered people conquer so much territory? Norwegian Vikings were courageous, cunning and had a fatalistic outlook which made them natural risk takers. Viking raiding parties seem to have had an amazing ability to shrug off losses, whether in battle or in dangerous sea voyages. 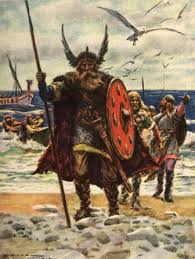 Many men were lost in battles in continental Europe, and in 876 the Vikings lost as many as 4,000 men and 120 ships in a great storm off the south English coast. There was also much infighting between Danish and Norwegian Viking bands, especially in Ireland, where losses were extremely high in relation to the Viking population. Despite all of this this, their appetite for conquest and exploration remained high. Viking courage is probably also linked to their dark sense of humour, as expressed in the writing of their sagas. Being able to laugh in the face of death and danger somehow explains their flexibility in battle and in pioneering sea voyages to far off lands. Vikings were experts in water transportation. Their native fjords stretched for great distances into Norway's heartland. Their longships were narrow, light, wooden boats with a shallow-draft hull designed for speed and easy navigation in shallow waters. This too was a major advantage in a sea filled with concealed icebergs and sea ice. 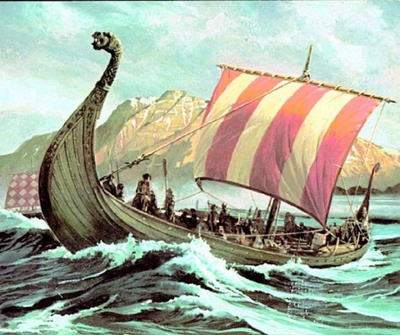 Longships had oars along almost the entire length of the boat. In good conditions, a longboat under sailing power could reach a speed of 15 knots.This resulted in voyages of discovery, traiding and raiding of coastal cities, towns and settlements across Europe. The voyages began in the latter part of the eighth century and stretched from Greenland in the west to the Caspian Sea in the east. To begin with only a few made the voyages, but the fleets grew until there were hundreds of longships sailing to England, Scotland, France and Ireland. The Vikings founded many cities and colonies, including Dublin and Normandy. Between the years 879 and 920 the Vikings colonised Iceland, which in turn became the springboard for the colonisation of Greenland. The Vikings even reached North America. By the 1100s the Vikings were weakened by domestic unrest. At the same time, many other European countries were becoming stronger and more difficult targets. The Viking Age ended with the fall of Harald Hardråde, who unsuccessfully tried to conquer England in 1066, and was defeated and killed at the Battle of Stamford Bridge. The island is a small island of the coast between the border of Scotland and Newcastle. It is connected by a narrow causeway when the tide is out. 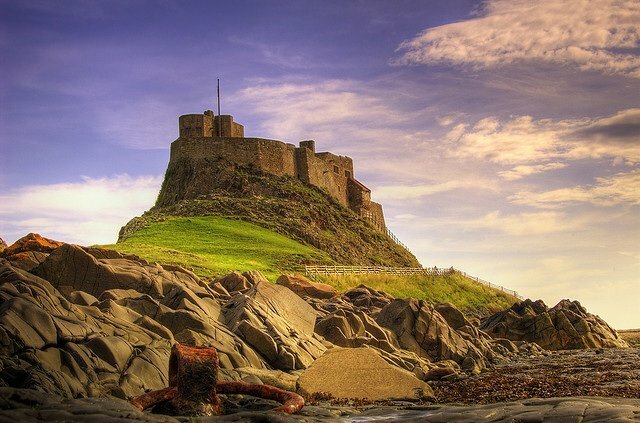 Christian monks had been asked by the king to move to Lindisfarne early in the 7th century to convert people to Christianity. One of the monks was St Cuthbert. He became famous and large numbers of pilgrims travelled to Lindisfarne. Lindisfarne became the centre of Christianity in England. This island, with its rich monastery, was the first island the Vikings decided to make their first target in Britain.